Mysuru: CSIR Pensioners Welfare Association (CSIR-PWA), Mysuru chapter, had organised Dr. H.V. 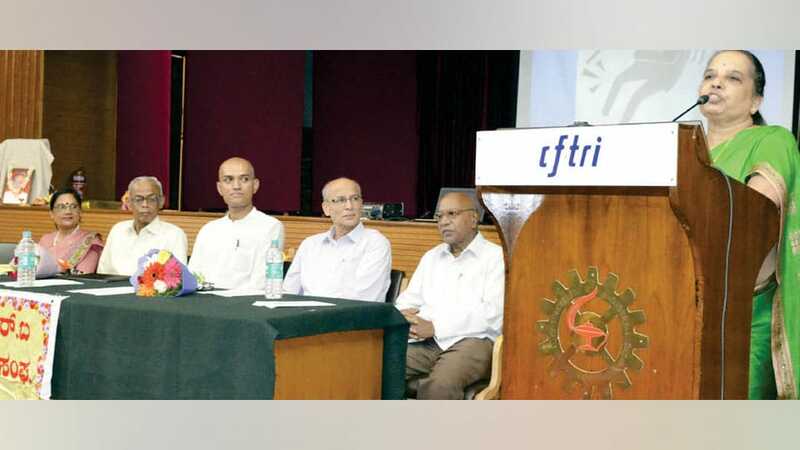 Narasimha Memorial Lecture at IFTTC auditorium, CSIR-CFTRI campus, Mysuru recently. The talk on “Preventive health care for senior citizens” by guest speaker Dr. T.M. Cariappa was benefitted by a large number of members. The memorial lecture was sponsored by Vatsala Narasimha and family. Dr. S. Z. Ali, Chairman of Programme Committee, presided. N. Ramakrishnaiah compered and introduced the speaker. President Dr. N. Krishnamurthy welcomed. Hon. Secretary Dr. Renu Agrawal proposed a vote of thanks.